One of a kind custom-built, lakefront estate home in Tarpon Springs. Private gated compound situated on 10 acres for the ultimate in seclusion yet close to everything. Exceptional in every way, spacious bedrooms each with a full bath. You will not find a home that matches up to this luxury estate. A throwback Southern Plantation look with modern, state-of-the-art amenities and attention to details! Impressive design and decor. From the columned entrance to the hand-painted Italian frescos, hardwood floors, open pool with slate surround that was extended to the covered balconies. Enjoy watching movies in your own private movie theater. Four car garage with side access point and dumb waiter. NEW ROOF OCTOBER 2018 Exquisite, private, great location, this is a once in a lifetime find straight out of Gone With The Wind. 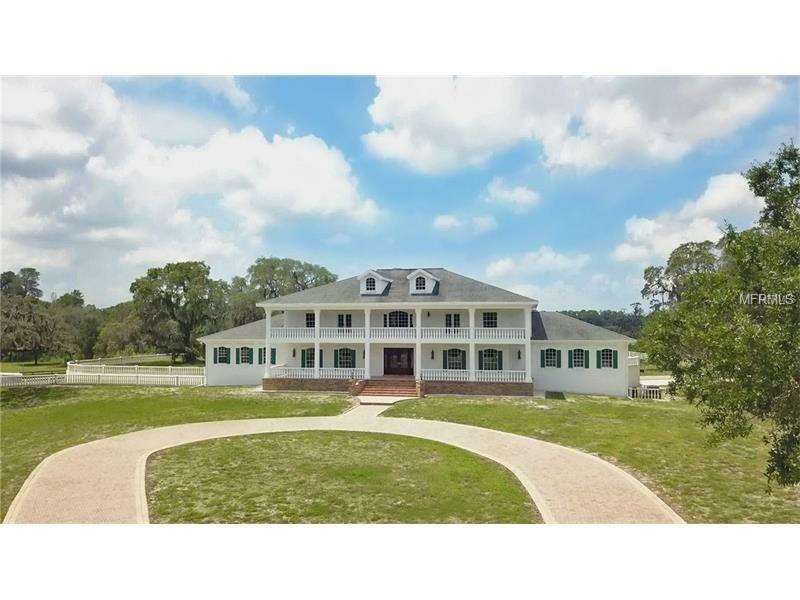 Total seclusion, private compound, acreage, with location, location, location. Additional 58 acres available for purchase. Property taxes shown are for all 68 acres, will be reassessed once subdivided.